landfills and landfill expansions. I have also been involved in developing a supplemental EIR for a local county stream restoration project. I have found that the EIS for the proposed Superior FCR landfill expansion is grossly deficient in reliably presenting information on the potential impact of the proposed landfill expansion. It has been my experience that this EIS would be found to be deficient in a court review of it. I strongly support Wright County’s request that a supplemental EIS be prepared for the Superior FCR Landfill expansion so that decision-makers and the public can be provided with reliable information on the potential public health and environmental impacts of this proposed landfill expansion. As it stands now, the agency has grounds for denial of the Superior FCR landfill expansion permit based on Minnesota Rule 7001.0140, Subp. 2, which states, “Subp. 2. Agency findings. The following findings by the agency constitute justification for the agency to refuse to issue a new or modified permit, to refuse permit reissuance, or to revoke a permit without reissuance: *** C. that the permittee has failed to disclose fully all facts relevant to the facility or activity to be permitted, or that the permittee has submitted false or misleading information to the agency or to the commissioner.” As documented herein and in Appendix A, the BARR Engineering Report dated November 2002 for the landfill expansion does not adequately and reliably discuss the expected performance of the landfill containment and monitoring systems to protect the groundwater resources that will be impacted by leachate produced within the landfill over the period of time that the wastes in the landfill will be a threat. The Containment System Design Is Inappropriate for the Geology of the Site. The Superior FCR Landfill site is a geologically unsuitable site for the proposed design of the landfill expansion. This landfill containment system will, at best, only postpone for a short period of time the pollution of groundwater by landfill leachate, compared to the time that the wastes in this landfill will be a threat. The Superior landfill site does not provide for natural protection of groundwaters from pollution by landfill leachate. Landfill Wastes Will Be a Threat to Public Health and the Environment Forever. Many of the components of the wastes in the proposed Superior FCR landfill expansion will be a threat to public health, groundwater resources and the environment for a very long period of time, well beyond the expected reliable functioning of the landfill liner system. Unreliability of Landfill Liner System to Prevent Groundwater Pollution by Landfill Leachate for as Long as the Wastes in the Landfill Expansion Will Be a Threat. The plastic sheeting liner and compacted soil liner that are proposed for the proposed Superior FCR Landfill expansion have limited periods of time, compared to the time that the wastes are a threat, when they can be expected to effectively collect the leachate generated in the landfill and convey the leachate to a sump where it can be removed. Unreliable Predictions of Groundwater Pollution by Landfill Liner Leakage. The CDM/Barr approach for estimating the amount of pollution of groundwaters by landfill leachate that leaks through the liner system fails to consider the long-term deterioration of the landfill liner system’s ability to prevent leachate from passing through it for as long as the waste in the landfill will be a threat. By only considering the initial design characteristics of the liner system in predicting leachate leakage rates, CDM/Barr/Superior have provided unreliable/inadequate information on the pollution of groundwaters that will occur by the proposed Superior FCR Landfill expansion. Unreliable Groundwater Monitoring. The proposed groundwater monitoring system is inadequate to detect groundwater pollution by leachate before offsite pollution occurs. As discussed herein, the initial leakage through the landfill liner system will occur through holes, rips, tears, and points of deterioration in the plastic sheeting layer of the liner. These will initially produce limited areas of groundwater pollution that may not be detected by the monitoring well array that is proposed. Further, the sandy lenses that underlie the existing landfill and likely underlie the proposed landfill expansion make monitoring of groundwater pollution by the landfill extremely difficult and unreliable using the monitoring well array that Superior has proposed to use to detect the inevitable failure of the liner for the expansion. Unreliable Estimates of Leachate Generation. The estimates of the amount of infiltration that will occur into the proposed Superior FCR landfill expansion through the cover for as long as the wastes in the landfill will be a threat are unreliable. The estimates that were made of the amount of infiltration that will occur into this landfill are based on a new cover with high-quality construction. There are a well-known variety of factors that can cause the cover to develop cracks, points of deterioration, etc., over the long period of time that the wastes in the landfill will be a threat. Far greater amounts of leachate will be generated in this landfill than predicted based on the calculations presented. Unreliable Estimates of Landfill Gas Production Rates. The gas production estimates are unreliable. Since the rate of landfill gas production is dependent on the amount of moisture that enters the wastes, it is not possible to reliably predict either the rate of landfill gas production or the duration over which landfill gas production will occur. The long-term landfill gas production will be controlled by the rate of deterioration of the plastic sheeting layer in the landfill cover. The plastic sheeting layer in the cover will deteriorate and allow water to enter the wastes and generate landfill gas and leachate; the rate of deterioration cannot be estimated. Dioxin Production. The Superior FCR application for landfill expansion mentions the use of a flare for managing landfill gas that will be produced. The flaring of landfill gas has been found to lead to dioxin formation, which is a threat to public health and the environment. Inadequate Post-Closure Care Funding. Adequate assured post-closure funding is not available to maintain the landfill cover, monitor surface and groundwaters, and eventually remediate the “superfund”-like conditions that will likely develop when widespread groundwater pollution occurs by landfill leachate. layer, a drainage layer, and an HDPE plastic sheeting layer. They key to preventing moisture from entering the landfill is the integrity of the plastic sheeting layer of the cover. There is no mention of the manner by which holes will be detected when they develop in the plastic layer of the landfill cover. These holes will not necessarily be manifested in the surface soil layer, and therefore could go undetected for many years while admitting water into the landfill. A gas extraction system would be constructed as part of the final cover for the purpose of collecting landfill gas. No mention is made that landfill gas will be generated in this landfill long after Superior FCR Landfill, Inc., has terminated its operation and maintenance of the landfill gas collection system. Table 5-1 presents “typical composition and characteristics of leachate from existing FCR landfill.” The data presented in this table, while incomplete with respect to the parameters analyzed and inadequately presented, show that the leachate from the existing landfill, and that which is expected from the proposed landfill expansion, has a significant potential to cause groundwater pollution. The inadequate presentation of these data stems from the fact that many of the parameters analyzed are reported to be “ND” (not detected), but no information is provided on the detection limits. Without this information, it is not known whether adequate analytical methods were used to determine the characteristics of the leachate. Also, a number of parameters which are typically analyzed in characterizing leachate are not included in this table. Page 5-2, under section “5.3 Hazardous Waste,” states, “Hazardous wastes will not be accepted at the proposed expansion facility. Other unacceptable waste streams include tires, free liquids, and batteries.” It should be understood that there is no way to keep hazardous chemicals (which cause waste to become hazardous) out of municipal solid waste and, especially, industrial so-called “nonhazardous waste” landfills. This has already been a recent problem at the existing Superior FCR landfill, where hazardous wastes were accepted by Superior and were deposited and still remain in the landfill. While there may be no attempt to accept what are classified as “hazardous wastes” at this landfill, there will be hazardous chemicals including batteries in the solid waste stream, which are a threat to public health and the environment. It should also be noted that, since the primary waste stream for the proposed landfill expansion is industrial “nonhazardous” waste, appreciable quantities of hazardous chemicals can be deposited in the landfill and still comply with this regulatory requirement. The basic problem is that the US EPA, as part of developing its hazardous waste classification approach, adopted a definition of hazardous waste that allows substantial amounts of hazardous chemicals to be present in a waste that is classified as “nonhazardous.” Waste can leach 100 times the drinking water standard for a regulated waste constituent and be classified as a “nonhazardous” waste. Further, the US EPA only regulates a very small number of the potentially hazardous chemicals present in industrial waste. There are many thousands of chemicals in industrial waste which are not regulated under hazardous waste regulations which could legally be placed in the Superior FCR landfill expansion. 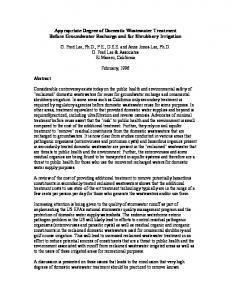 Lee and Jones (1981, 1982) provide additional discussion of the problems with the US EPA’s classification of industrial waste as “nonhazardous.” Page 5-4, second paragraph, discusses the approach that will be used to inspect the industrial so-called “nonhazardous” waste that is accepted at the landfill. This inspection program will not prevent deposition of hazardous waste or hazardous chemicals derived from industrial operations in the landfill. Page 5-5, section 5.4.3 discusses “Nuisance Control.” No mention is made, however, of offsite odors. Offsite odors have been a severe problem at the existing landfill and can readily be a significant problem at the proposed landfill expansion. However, the flare itself emits small amounts of pollutants as products of combustion: the criteria pollutants carbon monoxide (CO), nitrogen oxides (NOx), and sulfur dioxide (SO2), and the toxic air pollutant hydrogen chloride (HCl).” No mention is made about the fact that landfill gas flares have been reported by Eden (1993) to be a source of dioxins. The combustion conditions within landfill gas flares are such that dioxins are formed in landfill gas flares. “Section 4 – Air Quality Impacts” on estimating landfill gas production, is deficient with respect to the pattern of landfill gas production that will occur in the proposed landfill, should it be permitted as proposed. The predicted “Landfill Air Emissions Estimation Model” output (AP-42 results) for the “new generation” landfill ignores the fact that once the landfill is closed, landfill gas production rates will decrease significantly for a period of time, due to the fact that the landfill cover will reduce the moisture entering the landfill. Since landfill gas production rates are dependent on the moisture of the waste (Christensen and Kjeldsen, 1989), there will be a period of time when the wastes could be reasonably dry, assuming that leachate recycle is not practiced. However, at some time in the future, as the plastic sheeting layer in the landfill cover deteriorates, moisture will enter into the landfill, and the landfill will start generating landfill gas again. The reliable prediction of the rates of landfill gas generation from this type of situation cannot be accomplished, since it depends on the rate of deterioration of the plastic sheeting layer in the landfill cover and the amount of moisture that enters through the holes associated with this deterioration (Lee and Jones-Lee, 1999). “Section 6 – Odors and Wind-Blown Trash” fails to discuss that offsite odors and windblown trash are severe problems associated with the existing landfill. Further, this section fails to discuss the fact that odors such as those derived from landfills, in addition to being a nuisance (offensive), have also been reported by Shusterman (1992) as significant health threats. An appendix to this report contains a letter from Nola Bryant to Tom Salkowski, dated February 8, 1998, which discusses the blowing paper, trash/garbage problem associated with the existing landfill. It is certainly reasonable to assume that, since the current owner of this landfill is proposing to expand the landfill, the future expanded landfill will have the same problems. This is to be expected, since there is insufficient buffer land owned by the landfill owner around the facility to keep fugitive emissions such as odors, dust, garbage, paper, etc., from being transported onto adjacent properties. In a letter to Rod McGillivray, General Manager for Superior FCR Landfill, Inc. dated October 6, 1998, Curt Hoffman, Pollution Control Specialist with the Minnesota Pollution Control Agency (MPCA) discussed problems with the way in which the existing landfilling operation was being conducted by Superior, which was resulting in fugitive emissions of waste from the landfill. By that letter Superior FCR was notified that the MPCA was considering taking enforcement action for these violations. Neighbors of the existing facility have also reported that there are significant offsite odors from the existing landfill. Letters submitted to the County on the existing landfill and the potential impacts of the proposed landfill on property values demonstrate a well-known situation that landfills, without adequate buffers and proper maintenance can be significantly adverse to property values. This situation is documented in a paper by Hirshfeld, et al. (1992). The operating problems with the existing landfill in protecting the health, welfare and interests of those who own or use properties near this landfill provides justification for not allowing this landfill to expand, since the past operations are likely an indication of what the future operations would be. This is especially true, since on page 21, under “6.1 Conclusions,” item 3, it is stated that, “Groundwater velocity ranges from 3 to 300 feet per year, averaging about 30 feet per year.” This means that the estimated average velocities are a factor of 10 lower than the maximum velocities. Therefore, if leachate enters a high permeability layer underneath the landfill, rather than taking 130 years to reach the well located almost a mile (4,000 feet) from the landfill, it would only take 13 years. The tactic of reporting average velocities by landfill applicant consultants is typically done in order to mislead the reviewers and the public into believing that the landfill is, in fact, safer than it really is. This approach, however, is strongly contrary to the principles of public health protection, where a worst case based evaluation is used to assess public health threats. Adjacent property owners should have the ability to construct production wells at the property line at any time in the future, without pollution by landfill leachate. This is the issue that should have been addressed, not the misleading calculation of “130 years.” In fact, it is because of the inadequate buffer lands that exist between where landfilling will occur and adjacent properties and the potential for high-velocity transport, that offsite groundwater pollution can occur within a few years after leachate either permeates through the plastic sheeting liner and/or passes through holes, cracks, etc., that occur in the liner system. Specific Comments on March 20, 2000, Revised Permit Application Superior FCR Landfill, Inc., and its consultants have developed a number of reports and/or have responded to MPCA comments since March 18, 1999, when the Wright County Board of Commissioners denied the proposed expansion of the existing landfill. I have reviewed the additional materials which provide information on the proposed landfill expansion, for the purpose of determining whether Superior FCR Landfill, Inc., has addressed the issues that the County raised in their denial of the proposed landfill expansion. On page 1 of the Introduction, the statement is made, “The proposed expansion will accept for disposal industrial solid waste, rejects and residuals from MSW processing and demolition debris.” On page 3 of the “Permit Application Form” is a listing of the anticipated year 2000 waste streams for each of these types of wastes. Superior is proposing to accept approximately 150,000 tons/year of industrial waste, 18,000 tons/year of processed MSW and 47,000 tons/year of demolition debris at the proposed landfill expansion. It is concluded that the waste stream for the proposed landfill expansion will be similar to the waste stream that the County considered in denial of the proposed landfill expansion. Engineering Report Accompanying Application On page 4, in Section 3 “Phasing Plan,” Subsection 3.1 “Facility Data,” the first sentence states, “The partial horizontal expansion will provide approximately 435,700 cubic yards of waste volume.” On page 5, it is stated that this will “... add approximately 2 years of site life based upon the projected airspace consumption rate.” On page 6, it is stated that the expansion volume is anticipated to be filled by 2004. This additional waste, when added to the wastes that are already deposited at this site, will further add to the problems that the County will face over the time that the waste in the existing landfill and proposed landfill expansion will be a threat. Throughout the discussion of the cell design and construction, statements were made that the partial horizontal expansion cell will be constructed in accord with MPCA solid waste rules. It is important to note that the MPCA solid waste rule specifies a minimum design. It does not specify that this minimum design will be protective of public health, groundwater resources and the environment for as long as the waste in the landfill will be a threat. This is one of the primary issues of concern to the Wright County Planning Commission and Board of Commissioners. “The cost estimates include the capital expenditure required to implement the contingency action, and, where appropriate, the first year operation and maintenance costs of the contingency action. Operating and maintenance costs for subsequent years are provided for an estimated period of operating time.” In reality, the estimates provided reflect a small portion of the total cost that will need to be paid over the time that the waste in this landfill will be a threat if proper funding of contingency costs is to be achieved. Page 5, first paragraph of Section 3.0 “Postclosure Care Plan” states, “The postclosure period begins on the date of MPCA approval of final closure certification and continues for a period of 30 years from the date of final closure.” Thirty years is a small part of the time that the waste in this landfill will be a threat to cause groundwater and surface water pollution. The County is justifiably concerned that Superior only proposes to provide for the minimum 30-year post-closure care funding and fails to provide funding to protect the interests of the County for as long as the waste in the landfill will be a threat. Table 4 of this section presents the estimated annual costs of $76,500 for post-closure care. This is a small part of the total cost that will ultimately have to be paid associated with this site to stop offsite groundwater pollution. As discussed in my writings, the approach that should be followed to develop post-closure care funding is to evaluate a worst-case based failure scenario for the proposed landfill over the period of time that the waste in the landfill will be a threat, then estimate the reliability with which the failure will be detected with the monitoring systems used. From this, an estimate of the potential costs for monitoring, maintenance, and remediation of polluted groundwaters can be developed. The landfill owner/operator (Superior) then needs to develop a dedicated trust during the active life of the landfill that insures that adequate funds will be available to address the plausible worst-case failure scenario for as long as the wastes in the landfill will be a threat. The amount of funds needed for this approach will greatly increase the magnitude of the post-closure funding compared to that currently being proposed, and will likely greatly increase tipping fees that will have to be charged by Superior. Failure to follow this approach will almost certainly result in a situation where Wright County could become responsible for having to control the pollution of its groundwater and surface water resources by the Superior FCR landfill and the proposed landfill expansion. Table B-1 of the Closure/Postclosure Care section indicates two inspections per year will be performed. There is no discussion of the fact that the inspection of the surface of the landfill will not detect failure of the HDPE plastic sheeting layer in the cover to prevent moisture from entering the landfill and generating leachate. In addition, these inspections will not detect the leakage of leachate through the liner that leads to groundwater pollution under the landfill that will eventually pollute offsite groundwaters. Further, these inspections will take place for a relatively short period of time (30 years) compared to the time that the waste in the proposed landfill expansion will be a threat to public health, groundwater resources and the environment. It is stated that the direction of groundwater flow at the water table is east to east-southeast, with the water table’s being located approximately 30 feet below existing grade. The average groundwater velocity is listed as 20 feet per year, the water table aquifer consisting of sands and gravels with some interbedded silts and clay lenses. The water table aquifer is characterized as 50 to 70 feet thick. Below the sand and gravel unit is a till unit which is 10 to 30 feet thick. This unit is composed of sandy to silty clay and is continuous across most of the site, but absent in the extreme southwest and northwest portions of the site. Below the till is another sand aquifer. Based on the information provided by the MPCA, the hydrogeology of the Superior FCR landfill site causes this site to be unsuitable for a solid waste landfill. This hydrogeology can allow for rapid transport of leachate-polluted groundwaters offsite and cause the monitoring of the groundwaters that are polluted by leachate to be even more difficult than occurs at many landfills. possibly providing short-term protection of groundwater quality, are not reliable for long-term protection and will ultimately fail to prevent leachate from passing through them..
breakdown of flexible membrane liners. 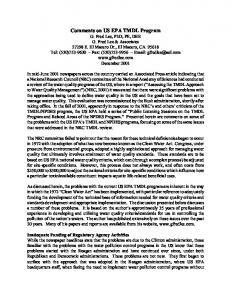 As discussed by Lee and Jones-Lee (1993b, 1995b) and Lee (1994), a common approach used by landfill consultants is to claim that the liner system will be “protective.” However, they fail to discuss their definition of the duration of time in which the liners will be protective and fail to mention the fact that, ultimately, this protective definition that they use will result in groundwater pollution beyond the time that they are considering to be of significance. Often this time is considered to be only 30 years beyond the closure of the landfill. agreement, “This requirement has not been completed and as stated in Part 8 of the Agreement, is being assessed a penalty of $250.00 for each day of failure.” More recent vioations of MPCA landfilling regulations by Superior FCR in its operation of the existing landfill have been discussed in the main body of this report. These include • 2/11/03 - alteration of gas condensate system withou approval, leachate violations (gas condensate leak) • 6/12/01 - leachate management (seeps) • 11/2/00 - permit violation - unacceptable waste (MSW) • 2/9/00 - permit violation - failure to close during high winds The record is clear that Superior FCR Landfill, Inc., has been cited for landfill operation violations in such areas as the pumping of water from the infiltration basin onto adjacent properties, inadequate intermittent daily cover and inadequate intermediate cover. This situation demonstrates the unreliability of Superior FCR Landfill, Inc., in operating the landfill in accord with regulations. Investigations, ASTM STP 1118, D.M. Nielsen and M.N. Sara, (eds. ), American Society for Testing and Materials, Philadelphia, PA (1992). Peggs, I.D., “Leak Location and Flaw Detection Technologies for Quality Assurance and Analysis of Geomembrane Lining Systems,” I-Corp International, Boynton Beach, FL (undated). Prosser, R. and Janechek, A., “Landfill Gas and Groundwater Contamination,” Proceedings: Landfill Closures. . .Environmental Protection and Land Recovery, American Society of Civil Engineers, Geotechnical Special Publication No. 53, New York, NY (1995). 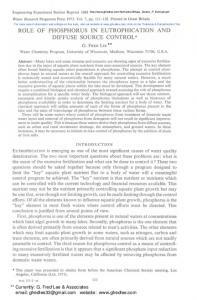 Sakti, J.P., Park, J.K. and Hoopes, J.A., “Permeation of Organic Chemicals through HDPE Geomembranes,” In: Proc. of ASCE National Environmental Engineering Conference, ASCE, New York, July (1991). Shackelford, C.D., “Waste-Soil Interactions that Alter Hydraulic Conductivity,” Hydraulic Conductivity and Waste Contaminant Transport, ASTM STP 1142, D.E. Daniel and S.J. Trautwein (eds. ), American Society for Testing and Materials, Philadelphia (1994). Shusterman, D., “Critical Review: The Health Significance of Environmental Odor Pollution,” Archives of Environmental Health 47(1):76-87 (1992). Tisinger, L.G. 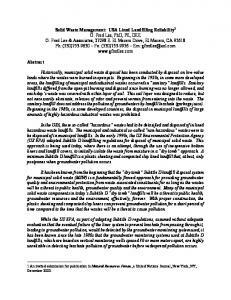 and Giroud, J.P., “The Durability of HDPE Geomembranes,” Geotechnical Fabrics Report, pp. 4-8, September (1993). US EPA, “Solid Waste Disposal Facility Criteria; Proposed Rule,” Federal Register 53(168):3331433422, 40 CFR Parts 257 and 258, US EPA, Washington, D.C., August 30 (1988a). US EPA, “Criteria for Municipal Solid Waste Landfills,” US EPA Washington D.C., July (1988b). US EPA, “Solid Waste Disposal Facility Criteria: Final Rule, Part II,” Federal Register, 40 CFR Parts 257 and 258, US EPA, Washington, D.C., October 9 (1991). Workman, J.P. and Keeble, R.L., “Design and Construction of Liner Systems,” In: Sanitary Landfilling: Process, Technology and Environmental Impact, T.H. Christensen, R. Cossu, and R. Stegmann (eds. ), Academic Press, San Diego, CA (1989). quality protection issues, as well as domestic water supply water quality issues throughout the US. PUBLICATIONS AND AREAS OF ACTIVITY Published over 900 professional papers, chapters in books, professional reports, and similar materials. The topics covered include: Studies on sources, significance, fate and the development of control programs for chemicals in aquatic and terrestrial systems. 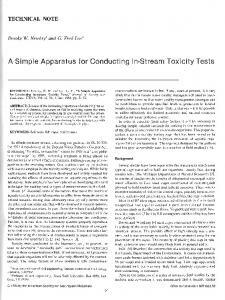 Analytical methods for chemical contaminants in fresh and marine waters. 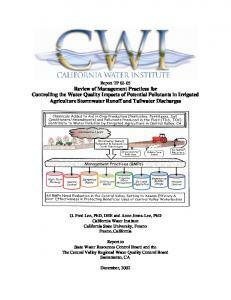 Landfills and groundwater quality protection issues. Impact of landfills on public health and environment. Environmental impact and management of various types of wastewater discharges including municipal, mining, electric generating stations, domestic and industrial wastes, paper and steel mill, refinery wastewaters, etc. Stormwater runoff water quality evaluation and BMP development for urban areas and highways Eutrophication causes and control, groundwater quality impact of land disposal of municipal and industrial wastes, environmental impact of dredging and dredged material disposal, water quality modeling, hazard assessment for new and existing chemicals, water quality and sediment criteria and standards, water supply water quality, assessment of actual environmental impact of chemical contaminants on water quality. LECTURES Presented over 775 lectures at professional society meetings, universities, and to professional and public groups. GRANTS AND AWARDS Principal investigator for over six million dollars of contract and grant research in the water quality and solid and hazardous waste management field. GRADUATE WORK CONDUCTED UNDER SUPERVISION OF G. FRED LEE Over 90 M.S. theses and Ph.D. dissertations have been completed under the supervision of Dr. Lee. ADVISORY ACTIVITIES Consultant to numerous international, national and regional governmental agencies, community and environmental groups and industries. Lee, G.F. and Jones-Lee, A., “A Groundwater Protection Strategy for Lined Landfills,” Environmental Science & Technology, 28:584-5 (1994). 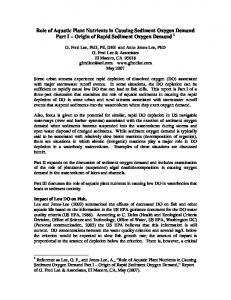 Lee, G.F. and Jones-Lee, A., “Groundwater Quality Monitoring at Lined Landfills: Adequacy of Subtitle D Approaches,” Report of G. Fred Lee & Associates, El Macero, CA, 28pp (1993). Lee, G.F. and Jones-Lee, A., “Detection of the Failure of Landfill Liner Systems,” Report of G. Fred Lee & Associates, El Macero, CA, 13pp (1996). Post-Closure Care Lee, G.F. and Jones-Lee, A., “Landfill Post-Closure Care: Can Owners Guarantee the Money Will Be There?” Solid Waste & Power, 7:35-38 (1993). Lee, G.F. and Jones-Lee, A., “Municipal Landfill Post-Closure Care Funding: The ‘30-Year PostClosure Care’ Myth,” Report of G. Fred Lee & Associates, El Macero, CA, 19pp (1992). Lee, G.F. and Jones-Lee, A., “Overview of Landfill Post Closure Issues,” Presented at American Society of Civil Engineers Convention session devoted to “Landfill Closures - Environmental Protection and Land Recovery,” San Diego, CA (1995). Lee, G.F. and Jones-Lee, A., “Landfilling of Solid & Hazardous Waste: Facing Long-Term Liability,” Proceedings of the 1994 Federal Environmental Restoration III & Waste Minimization II Conference, Hazardous Materials Control Resources Institute, Rockville, MD, pp. 1610-1618 (1994). Lee, G.F. and Jones-Lee, A., “Closed Landfill Cover Space Reuse: Park, Golf Course or a Tomb?” Report G. Fred Lee & Associates (1994). Lee, G.F. and Jones-Lee, A., “Unreliability of Predicting Landfill Gas Production Rates and Duration for Closed Subtitle D MSW Landfills,” Report of G. Fred Lee & Associates, El Macero, CA, September (1999). Permitting of Landfills Lee, G.F. and Jones, R. A., “Review of Proposed Landfills: Questions that Should Be Answered,” Report of G. Fred Lee & Associates, El Macero, CA, 22pp (1991). Lee, G.F. and Jones-Lee, A., “Questions that Regulatory Agencies Staff, Boards and Landfill Applicants and their Consultants Should Answer About a Proposed Subtitle D Landfill or Landfill Expansion,” Report of G. Fred Lee & Associates, El Macero, CA, April (1997). 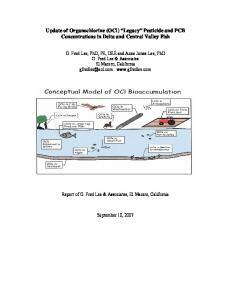 Lee, G.F. and Jones-Lee, A., “Evaluation of the Potential for a Proposed or Existing Landfill to Pollute Groundwater,” Report of G. Fred Lee & Associates, El Macero, CA, 18pp, July (1996). Lee, G.F. and Jones-Lee, A., “Development of a Potentially Protective Landfill: Issues Governing the True Cost of Landfilling,” Report of G. Fred Lee & Associates, El Macero, CA, July (1997). Lee, G.F. and Jones-Lee, A., “Potential Impacts of the Proposed Minimum Subtitle D Landfills on Agricultural and Greater Area Municipal Resident Interests,” Report of G. Fred Lee & Associates, El Macero, CA, August (1997). Lee, G.F. and Jones-Lee, A., “Recommended Design, Operation, Closure and Post-Closure Approaches for Municipal Solid Waste and Hazardous Waste Landfills,” Report of G. Fred Lee & Associates, El Macero, CA, 14pp (1995). 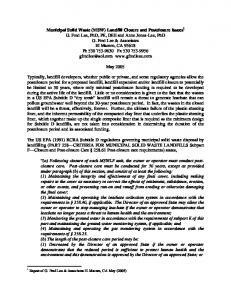 Lee, G.F. and Jones-Lee, A., “Permitting of New Hazardous Waste Landfills and Landfill Expansions: A Summary of Public Health, Groundwater Resource and Environmental Issues,” Report of G. Fred Lee & Associates, El Macero, CA, 82pp, October (1996). Lee, G.F. and Jones-Lee, A., “Subtitle D Municipal Landfills vs Classical Sanitary Landfills: Are Subtitle D Landfills a Real Improvement?” Report of G. Fred Lee & Associates, El Macero, CA, 5pp (1996). 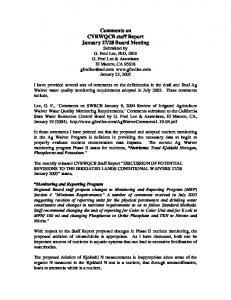 Lee, G.F., “Comments on State Board Revisions to Chapter 15 Governing Landfilling of Municipal Solid Wastes,” Letter to J. Caffrey, State Water Resources Control Board, Sacramento, CA, October 12 (1997). Lee, G.F. and Jones, R.A., “Comments on US EPA `Solid Waste Disposal Criteria' Final Rule October 9, 1991,” Report of G. Fred Lee & Associates, El Macero, CA, 14pp (1991). Lee, G.F. and Jones-Lee, A., “Evaluation of the Potential for a Proposed or Existing Landfill to Pollute Groundwater,” Report of G. Fred Lee & Associates, El Macero, CA, 18pp, July (1996). Lee, G.F. and Jones-Lee, A., “The Cost of Groundwater Quality Protection in Landfilling,” Report of G. Fred Lee & Associates, El Macero, CA, 8pp (1993). Lee, G.F., and Jones-Lee, A., “Practical Environmental Ethics: Is There an Obligation to Tell the Whole Truth?,” Published in condensed form as “Environmental Ethics: The Whole Truth” Civil Engineering 65:6 American Society of Civil Engineers (1995). Lee, G.F. and Jones-Lee, A., “Revisions of State MSW Landfill Regulations: Issues in Protecting Groundwater Quality,” Environmental Management Review, 29:32-54, Government Institutes Inc., Rockville, MD, August (1993). Lee, G.F, “Petition to the State Water Resources Control Board to Review California Regional Water Quality Control Board Waste Discharge Requirements for University of California, Davis Class III Landfill, Yolo County, Order 96-228, Adopted on August 9, 1996,” G. Fred Lee & Associates, El Macero, CA 22pp, September 9 (1996). Fermentation/Leaching “Wet Cell” Landfills Lee, G. F., “Revision of Solid Waste Landfill Criteria - Leachate Recirculation,” Submitted to US EPA Docket Number F-1999-MLFN-FFFFF Washington DC January (2000). 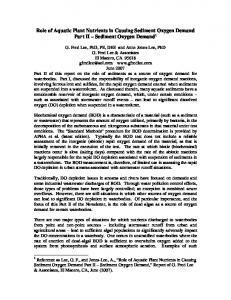 Jones-Lee, A. and Lee, G. F. “Appropriate Use of MSW Leachate Recycling in Municipal Solid Waste Landfilling, ” Proc Air and Waste Management national meeting Salt Lake City, UT June (2000). Lee, G.F. and Jones, R. A., “Managed Fermentation and Leaching: An Alternative to MSW Landfills,” Biocycle, 31:78-80,83 (1990). 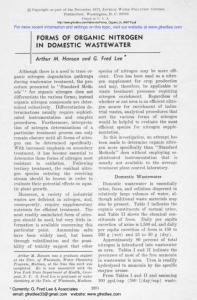 Lee, G.F. and Jones-Lee, A., “Leachate Recycle Process Offers Pros and Cons,” World Wastes 37(8): 16,19 (1994). 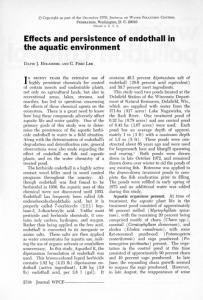 Lee, G.F. and Jones-Lee, A., “Advantages and Limitations of Leachate Recycle in MSW Landfills,” Report G. Fred Lee & Associates (1994). Lee, G.F. and Jones-Lee, R. A., “Wet Cell Versus Dry Tomb: Pay a Little Now or More Later,” MSW Management 5:70,72 (1995). Lee, G.F. and Sheehan, W., “MSW Recycling Protects Groundwaters: Reply to ‘Recycling is Garbage,’” Letter to the editor New York Times, Hydrovision 5(3):6 (1996). 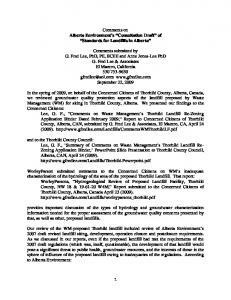 Lee, G.F., and Jones-Lee, A., “MSW Landfill Leachate Recycle and Groundwater Quality Protection,” Report of G. Fred Lee & Associates, El Macero, CA, November (1995). 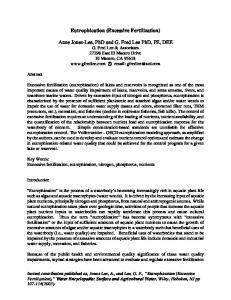 Lee, G.F. and Jones-Lee, A., “Landfills and Groundwater Pollution Issues: ‘Dry Tomb’ vs F/L WetCell Landfills,” Proc. of Sardinia '93 IV International Landfill Symposium, Sardinia, Italy, pp. 17871796 (1993). Landfill Mining Lee, G.F. and Jones, R.A., “Use of Landfill Mining in Solid Waste Management,” Proc. 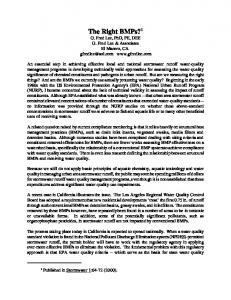 Water Quality Management of Landfills, Water Pollution Control Federation, Chicago, IL, 9pp, July (1990). 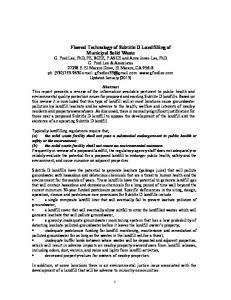 Lee, G.F. and Jones-Lee, A., “Permitting of New Hazardous Waste Landfills and Landfill Expansions: A Summary of Public Health, Groundwater Resource and Environmental Issues,” Report of G. Fred Lee & Associates, El Macero, CA (1996). Lee, G.F. and Jones-Lee, A., “Hazardous Chemical Site Remediation Through Capping: Problems with Long-Term Protection,” Remediation 7(4):51-57 (1997). Lee, G.F., “Redevelopment of Brownfield Properties: Future Property Owners/Users Proceed With Your Eyes Open,” Environmental Progress 16(4):W3-W4 (1997). Report "Comments on - G. Fred Lee & Associates"